LoveToKnow spoke with Dr. Deirdre Chiaramonte of the Animal Medical Center of New York about heartworm symptoms, infestations, prevention, and treatment. Get this valuable info that could save a dog's life. Love to Know (LTK): Dr. Chiaramonte, What exactly are heartworms? Heartworms are thread-like worms that live and colonize in the pulmonary arteries. These are the blood vessels that lead from the heart to the lungs. Mature heartworms produce offspring, known as microfilari, that travel through and live in the bloodstream. Dr. Deirdre Chiaramonte (DDC): How do dogs become infected with heartworms? DDC: Heartworm is transmitted by mosquitoes. Immature heartworms, those still in the larval stage, are transferred from the mosquito's bite directly into a dog's bloodstream. LTK: Are puppies at any greater risk for heartworm infection than adult dogs? DDC: No. Any dog not receiving heartworm preventative is equally at risk for infection when exposed to mosquitoes. LTK: Are heartworms a risk throughout the country, or just in certain regions? DDC: Heartworm disease is a risk anywhere mosquitoes live. That being said, warm/humid climates in which they can survive year-round are the areas of highest risk. Places like the southern United States, South America and the Caribbean immediately come to mind. LTK: What are some typical heartworm symptoms that owners might notice once they know what to look for? LTK: How is a heartworm infection diagnosed and treated, and what is the mortality rate for infected dogs? DDC: An infection is diagnosed by two different, yet simple blood tests. One looks for the presence of microfilaria, the immature heartworms. The other blood test looks for the presence of proteins/antigens in the bloodstream that are made by heartworms. LTK: Talk to us about heartworm prevention. DDC: It is much safer to keep dogs on monthly heartworm preventatives rather than let them a) suffer the life-threatening course of the disease or b) subject them to risky treatment. Both Ivermectin and another drug called milbemycin are frequently used as heartworm preventatives. However, it is important to discuss prevention with your veterinarian as some breeds cannot tolerate milbemycin and shouldn't receive this drug as a preventative. LTK: Can the preventative medication be used to treat the infection? If so, under what circumstances. 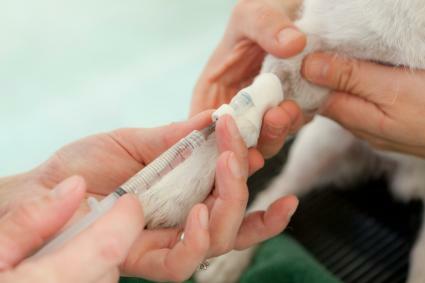 DDC: Ivermectin and milbemycin can both be used as a follow up treatment to kill any remaining microfilaria once the initial heartworm treatment has been carried out to kill adult worms living in the pulmonary arteries. However, the initial treatments use different drugs that are targeted strictly at the adult worms. These drugs must be administered in the hospital under close supervision since they are quite toxic and present risks to the dog receiving them. 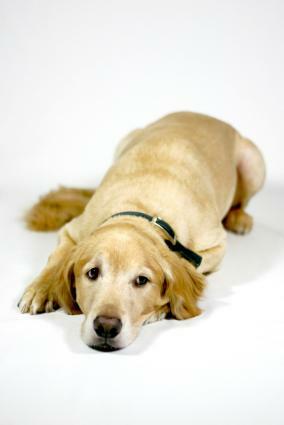 LTK: How often should dogs receive preventative and do they need it year round? DDC: There are actually monthly preventative medications as well as daily. They are equally effective, but obviously the monthly is a more popular choice because of the convenience it offers. Year-round heartworm prevention is becoming the recommendation in many cases because the weather is frequently staying warm enough in non-typical regions for mosquitoes to survive. Also, more and more dogs are traveling with their owners, and this leaves them at greater risk for exposure. 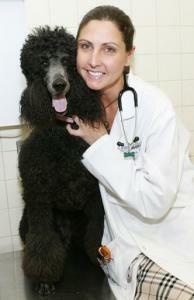 LTK: How expensive is the preventative, and what happens if a dog misses a dose? DDC: The cost to put a dog on preventative depends on the size of the dose, and this in turn depends on the size of the dog. Overall, the monthly preventatives are very affordable: generally less than $5.00 a month for small dogs, and less than $7.00 a month for large dogs. Depending on how soon the missed dose is realized, we either go ahead and give the dose late or test for the presence of heartworms before putting the dog back on preventative. LTK: Will a dog that has recovered from a heartworm infection ever be completely normal again? DDC: It really depends on the severity of the case and the dog's reaction to the treatment, because there are downfalls to the treatments used for heartworm infection. In general, we are dealing with fairly toxic substances. One drug, Immiditicide, is derived from arsenic. The other, Caparsolate, is known to be toxic to the liver and necrotizing to tissue if administered anywhere except directly into a vein. Taking steps to protect their canine companions from heartworms is something that every responsible pet owner should do. As Dr. Chiaramonte so clearly illustrates, it's impossible to understimate the importance of giving regularly scheduled medication to protect pets from this dangerous, yet highly preventable disease.